It’s a typical school night, and your stomach starts to rumble. You open your fridge, look at the random ingredients stockpiled over the last couple of months, and suddenly the task of cooking dinner seems daunting. So instead of wasting all that time and effort deciding what to make (and then actually making it) you do what you always do: order a pizza from the nearest delivery joint. But did you know that cooking at home, no matter what you cook, is more healthy than eating out? It’s true. You’re more likely to eat smaller portions and more micronutrients when you cook at home than when you order food from a restaurant. That’s why we at The Feed think it’s so important for college students to start cooking now—while you are a young dawg learning new tricks! 1) Don’t know what to cook? With the help of the UGA Health Center’s Nutrition Kitchen, The Feed offers students the ability to scroll through visually appealing dishes that are quick and easy to make. Tapping on the dishes that a student wants to make for the week will generate a master shopping list that can guide them when they are at the grocery store. 2) Don’t know how to cook? The Nutrition Kitchen offers cooking classes in the University Health Center’s specially designed teaching kitchen. The Feed will allow students to learn more about these classes and to sign up for a cooking class with their friends. 3) Don’t think cooking at home is social/fun? The Feed allows students to connect with other students. Share recipes, see what other UGA students are cooking, and even link up with friends and plan to cook a meal together. So join the next generation of college students that choose cooking over restaurants. 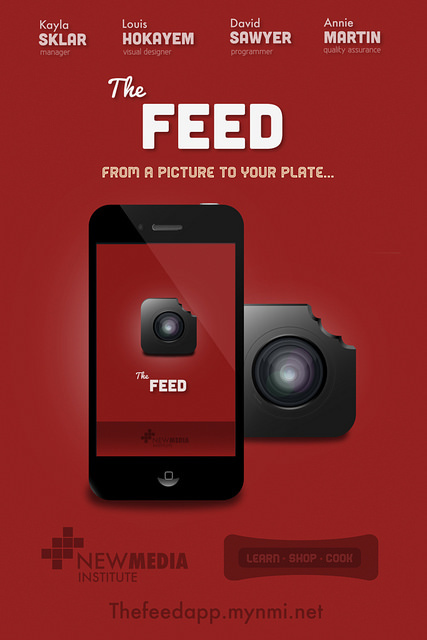 Join The Feed. Coming Soon to a Mobile Device Near You.